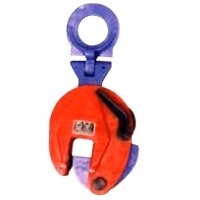 DSQ Vertical Plate Lifting clamps are used for lifting and turning over plates from horizontal to vertical positions. 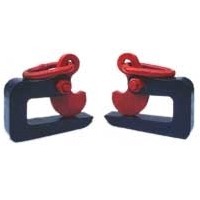 DSQ Vertical Plate Lifting clamps are made with hardened steel jaws for firm grip and proper locking. 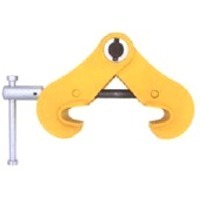 DSQ Vertical Plate Lifting clamps in a small easy to handle tool, incorporated with a spring lock which facilitates attaching of the clamps to the plates. 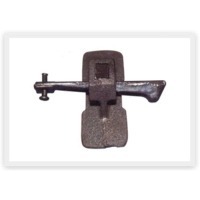 Model WILL Opening (mm) Weight (Kg) DSQ1 1 50 3.7 DSQ2 2 55 6.3 DSQ3 3 70 10.5 DSQ5 5 90 19.3 DSQ8 8 130 40 DSQ12 12 150 52 DSQ16 16 160 55 Warning Do not exceed Working Load Limits. Avoid Superficial Gripping. Do not exceed specified angle of Lift (Not more than 60). 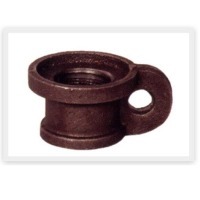 Check the cams periodically for excessive wear and tear and reject if found unsafe. W.L. at 0o kg, Size Dia. A, Coarse Pitch, B, D, E, F, G, H, M, Approx, Wt. 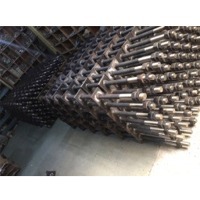 each kg., 85, 8, 1.25, 20, 6, 20, 8, 18, 12, 10, 0.06, 150, 10, 1.50, 25, 8, 25, 10, 22, 18, 12, 0.11, 220, 12, 1.75, 30, 10, 30, 12, 26, 22, 14, 0.18, 380, 16, 2.00, 35, 12, 35, 14, 30, 28, 16, 0.28, 570, 20, 2.50, 40, 14, 40, 16, 35, 30, 19, 0.44, 810, 22, 2.50, 45, 16, 45, 18, 40, 35, 21, 0.55, 1050, 24, 3.00, 50, 18, 50, 20, 45, 38, 24, 0.74, 1700, 30, 3.50, 65, 22, 60, 24, 55, 45, 28, 1.66, 2500, 36, 4.00, 75, 26, 70, 28, 65, 55, 32, 2.7, 3400, 42, 4.50, 85, 30, 80, 32, 75, 65, 38, 4.0, 5200, 48, 5.00, 100, 35, 90, 38, 85, 70, 46, 6.4, 6500, 56, 5.50, 110, 38, 100, 42, 95, 80, 50, 8.8, 8700, 64, -, 120, 42, 110, 48, 105, 90, 58, -, 13000, 72, -, 150, 50, 140, 60, 130, 105, 72, -, 17000, 80, -, 170, 55, 160, 68, 150, 120, 80, -, 20000, 100, -, 190, 60, 180, 75, 165, 130, 88, - All dimensions in mm Proof Load = 2 x S.W.L. 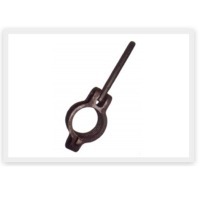 (Safe Working Load) Other threads can also be supplied to special order. 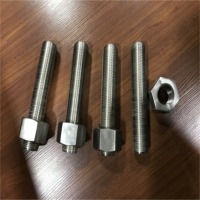 Shoulder Nut Eye Bolt - Installation for Angular loading The threaded shank must protrude through the load sufficiently to allow full engagement of the nut. 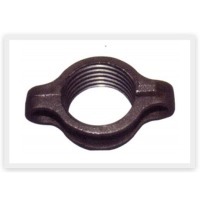 If the eye bolt protrudes so far through the load that the nut cannot be tightened securely against the load, use properly sized washers to take up the extra space Between The Nut And The Load Place washers or spacers between nut and load so that when the nut is tightened securely, the shoulder is secured flush against the load surface. 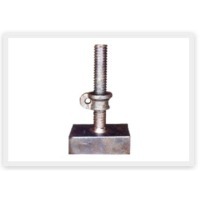 Forged Eye Bolt Warning & Applications Important Safety Information - Read & Follow Inspection / Maintenance Safety Never use eye bolt that shows signs of wear or damage Never use eye bolt if eye or shank is bent or elongated. 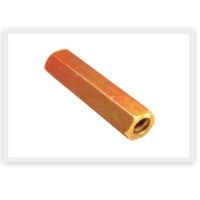 Always be sure threads on shank and receiving holes are clean Never machine, grind, or cut eye bolt. 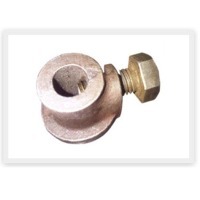 Assembly Safety Never exceed load limits specified in Table I Never use regular nut eye bolts for angular lifts. 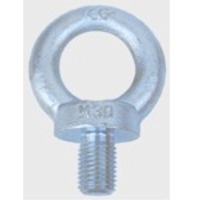 Always use shoulder nut eye bolts (or machinery eye bolts) for angular lifts. 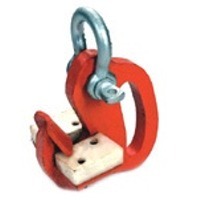 For angular lifts, adjust working load as follows: Never undercut an eye bolt to seat shoulder against the load. 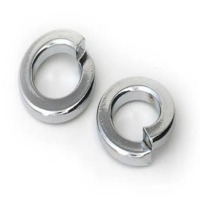 Always countersink receiving hole or use washers to seat shoulder. 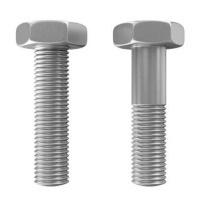 Always screw eye bolt down completely for proper seating. 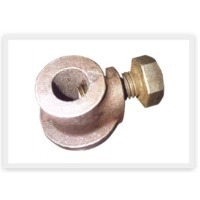 Always tighten nuts securely against the load. Shoulder Nut Eye Bolt - Installation for Angular loading Operating Safety Always stand clear of load Never lift load with steady, even pull - do not jerk. 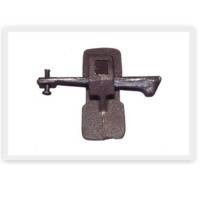 Always apply load to eye bolt in the plane of the eye, not at an angle Never exceed the capacity of the eye bolt. 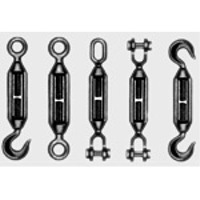 When using lifting slings of two or more legs, make sure the loads in the legs are calculated using the angle from the vertical to the leg and properly size the shoulder nut or machinery eye bolt for the angular load.